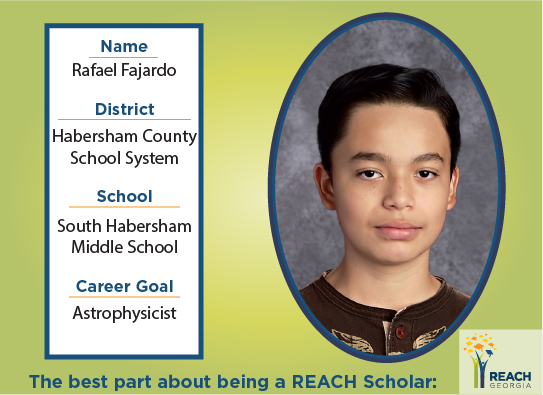 What is the best part about being a REACH Scholar? I can now rest assured that I will not end up in a lot of debt and will receive financial help with my college career. How have you benefited from your involvement with REACH? It has reduced some of the stress I had in regards to how i was going to pay for college. How has your future outlook changed since becoming a REACH Scholar? Now I have been able to be more specific about what it is that I want to study in college.